This was many months in the making, but finally, the crochet hexagon afghan is done! I am really happy with it. The colors are just perfect. 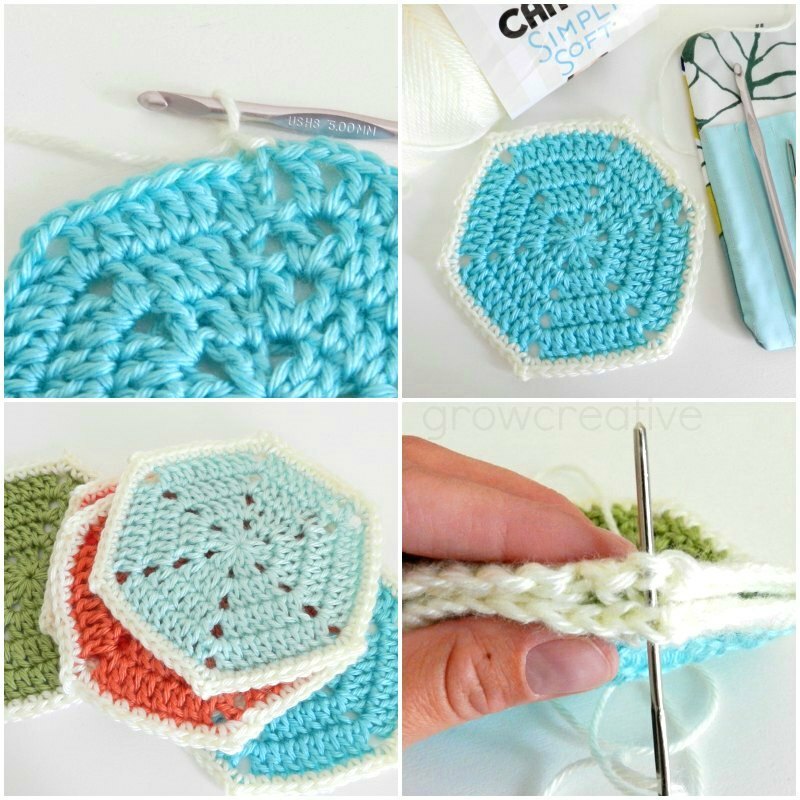 The hexagon pattern I used was adapted from a pattern from Crochet Fundamentals. I just added a round of single crochet in white after the last row. Then I whip stitched the hexagons together for many many hours. That was the longest part, but it was worth the work! As for yarn, I used Caron Simply Soft in Pistachio, Robin's Egg, Soft Blue, Soft Green, Persimmon, Orange Orange, and Off White. I used a couple of skeins of each color. I love that super soft yarn, It's easy on the hands while sewing and it feels so good when the blanket is all done too. I'm keeping this blanket out to brighten up the cold gray days of winter. I can't wait for spring already! Such lovely colours Elise! You always get them just right! I sit in a cloud here on my hill, a few mountain ridges away from the sea. The rain has come and the grey white sky hums low and whispers a drizzling rain. Beautiful! Great crochet work! Congrats! I love the colours combination! I agree - great color choices! You have skills! It turned out so lovely and I hope it brings you hope and peace instead of sadness. Oh my gosh Elise. It's adorable. I love the colours and the hexagons are so whimsical.